This week welcomes a guest post from author Mike Martin, about the elements of a great mystery. DISCLAIMER: This content has been provided to MYSTERY OF CHARACTER FEATURING SHANNON MUIR by Pump Up Your Book Tours. No compensation was received. This information required by the Federal Trade Commission. How the story is told and the definition of the main characters are close behind in terms of factors that make up a good mystery. Style, pace and plot development are keys to ensuring that we are not just entertained, but engaged along the way. The sub-genres of mystery start diverging here, particularly around style which tends to involve detailed and sometimes flowery descriptions in cozies or technically detailed forensic talk in police procedurals. But they all come back together when it comes to the flow of the story. Good mysteries in all forms have a rhythm that somehow just seems right. Great mystery writers have the ‘Goldilocks’ touch: not too fast, not too slow, just right! Great characters are another key to great mysteries. We all remember the giants like Poirot or Miss Marple or Rebus or any number of great cozy writers. But I find that it is actually the sub-cast of characters that separate the great from the good. And it’s not usually the person or persons who get killed that are the most interesting. It’s the Corporal under the Sergeant, or the old friend who always shows up with advice or a bottle of scotch at exactly the right time. 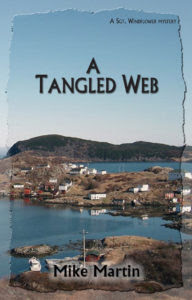 We’re happy to bring you Mike Martin’s A TANGLED WEB Blog Tour! 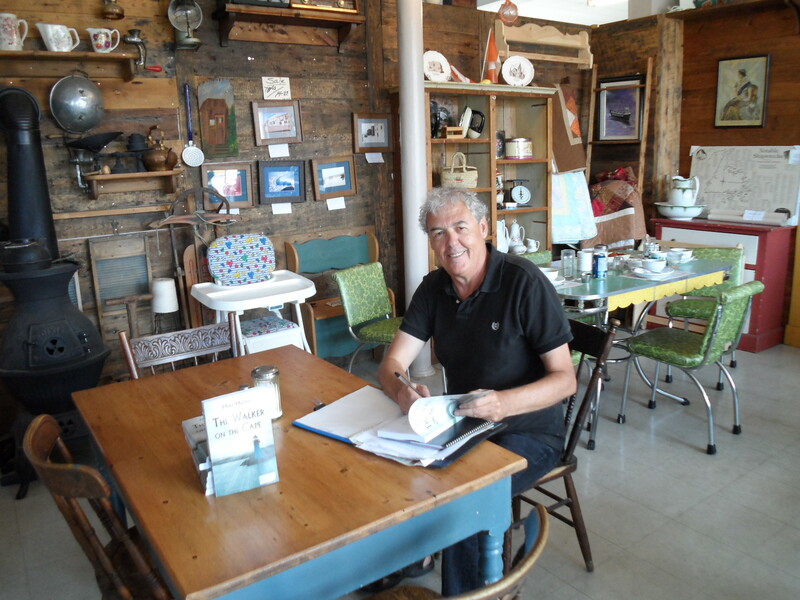 Please leave a comment for Mike to let him know you stopped by! Life is good for Sgt. Wind­flower in Grand Bank, Newfoundland. to make everything better in the end. learn more about the dream world. Betsy Molloy, beat him to it. other woman and guided her to a seat in the reception area. the mother calm down so she could give them as much information as possible. information but also trying to help Molly Quinlan feel useful. stopped crying and said her daughter was wearing jeans and a favourite t-shirt. nodded her agreement, and Windflower went outside to drive Molly Quinlan home. community. She knew most of her neighbours, and they all watched out for her. door of the truck slamming shut. She cried out, but by then it was too late. town and onto the highway. every little kid and probably where Windflower himself would have taken refuge. but no time to waste. He walked up to the first door and knocked. publications including Canadian Stories and Downhome magazine. Surface, A Twist of Fortune and A Long Ways from Home. Thank you Shannon for hosting me today.